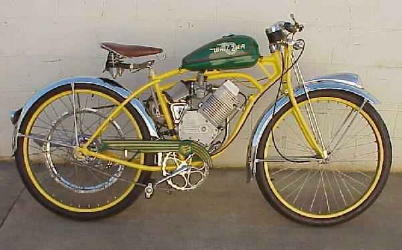 I want a Whizzer or something similar. 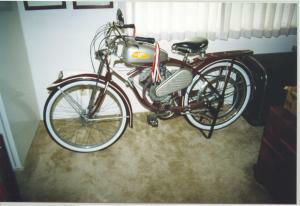 The Whizzer was built on a deluxe Schwinn bicycle and had a 2.5-hp 4-cycle engine. It could get up to about 35 mph and would go about 125 miles on a gallon of gasoline. It was built for one rider, but had enough power to ride double. 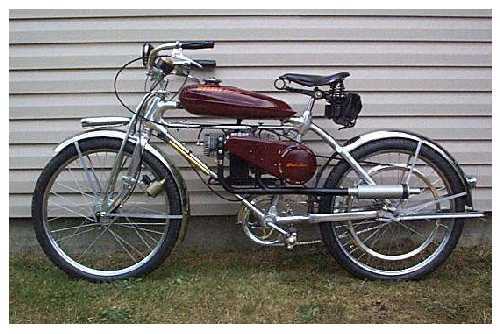 There was another model called The Sportsman that had a smaller frame and looked like a light motorcycle. It was slightly faster than the standard model. 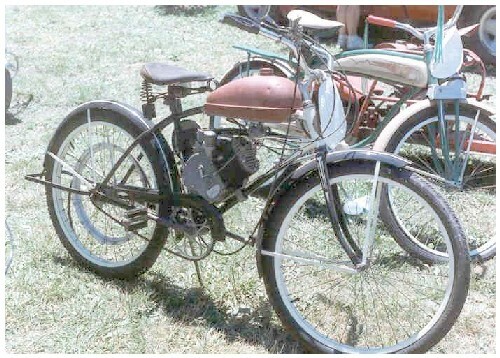 The sportsman had an automatic clutch, but still the belt drive. 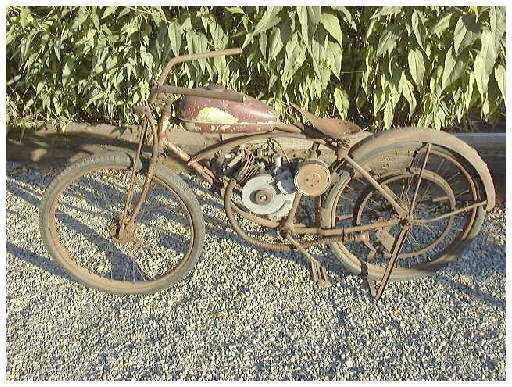 To start the engine, you flipped a "compression" lever on the handlebars to hold the exhaust valve open and started pedaling. Once the engine began turning over, you released the compression lever and the thing would start running. 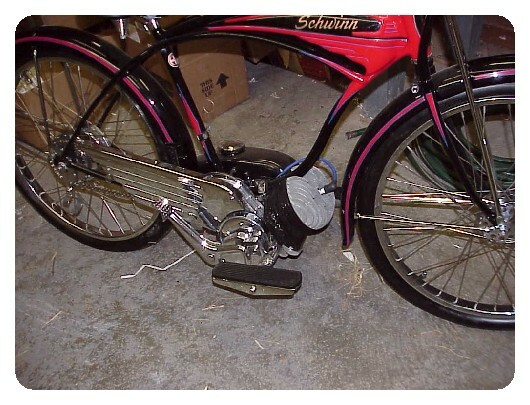 The Whizzer had a kickstand, but if you fitted it with a rear stand you could start it up without moving. Another technique was to run alongside, pushing the Whizzer. When the engine started, you stepped on the near pedal and hopped on. 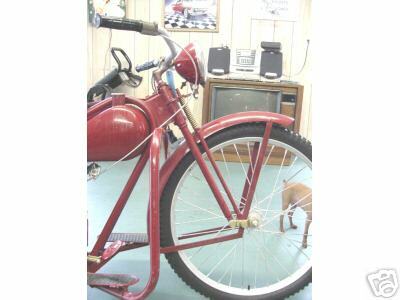 As on most bikes at that time, pedaling backwards activated the rear brake. The front brake lever was on the right handlebar. There was a twist-grip throttle on the right handlebar and a clutch lever on the left. 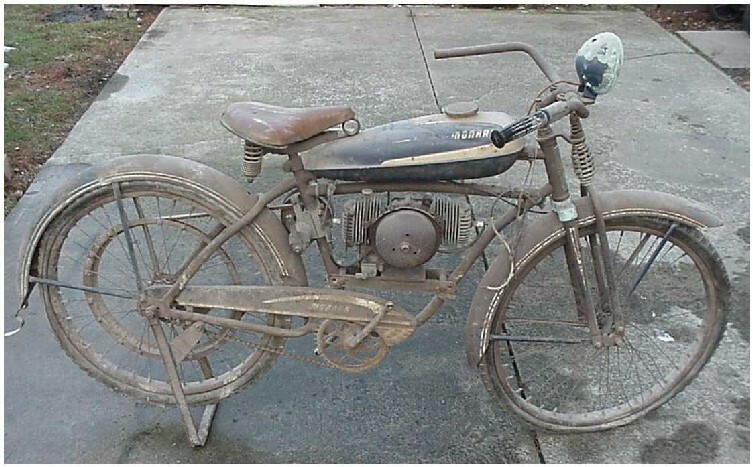 There was no real transmission, however, as the Whizzer had a single-speed V-belt drive. The heart of the drive system was a special intermediate pulley that was really two pulleys side-by-side, one larger than the other. A small pulley on the engine crankshaft drove a V-belt that turned the larger part of the intermediate pulley. A second belt drove a very large pulley fastened to the spokes of the rear wheel. 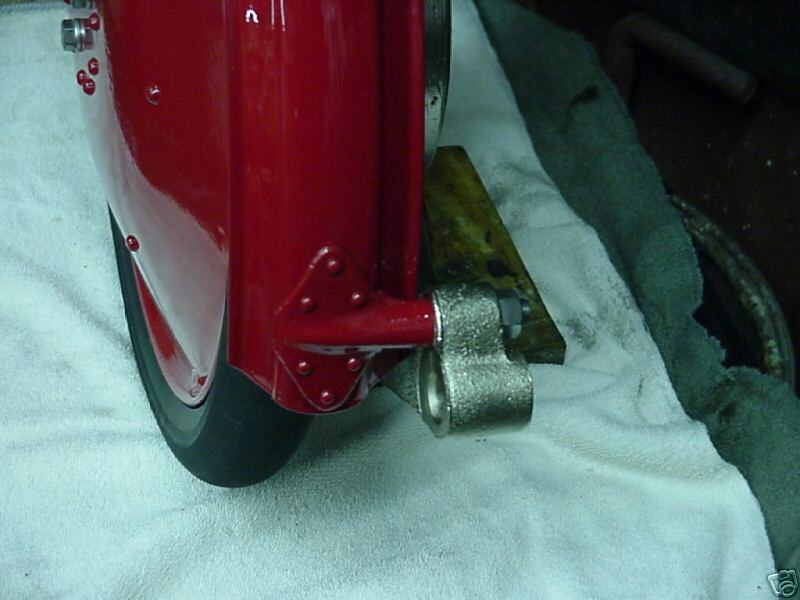 The intermediate pulley is below the seat, covered by a chrome-plated metal shield. The engine had a mostly-exposed flywheel with a magnet set into the edge to energize the magneto when it passed by the ignition coil. Squeezing the clutch lever simply moved the intermediate pulley against a spring, until the engine belt slipped. There was no "neutral." If you got tired of squeezing before the traffic light turned green, you had to shut off the engine or put down the rear stand. What you can't see in the picture is that most Whizzer owners replaced the muffler (which really did muffle a little) with a straight pipe that made the most glorious ragged rapping roar when you gave the throttle a twist and back. 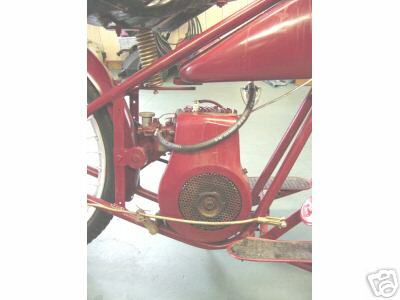 August Breene-Taylor Engineering, a Los Angeles-based manufacturer of airplane parts, announced the availability of the Whizzer Model "D" Bicycle Motor. 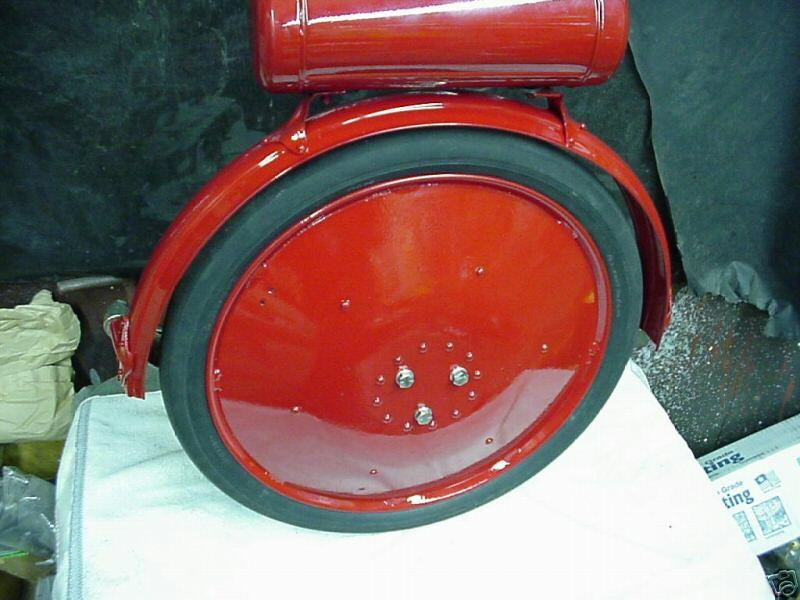 This kit sold for $54.95 and included an air-cooled, four-cycle engine that was capable of producing 1.375 horsepower as well as a 2/3 gallon fuel tank. Approximately 1000 Model "D" motors were made and sold. July Breene-Taylor released the new Model "E" Bicycle Motor, which was essentially the same as the Model "D" with several key improvements and additions. Most notably, the cylinder head was changed to aluminum for better cooling, the camshaft was redesigned to provide better performance, and an oil dipstick was added to check the oil level. Approximately 1500 Model "E" Motors were made and sold. 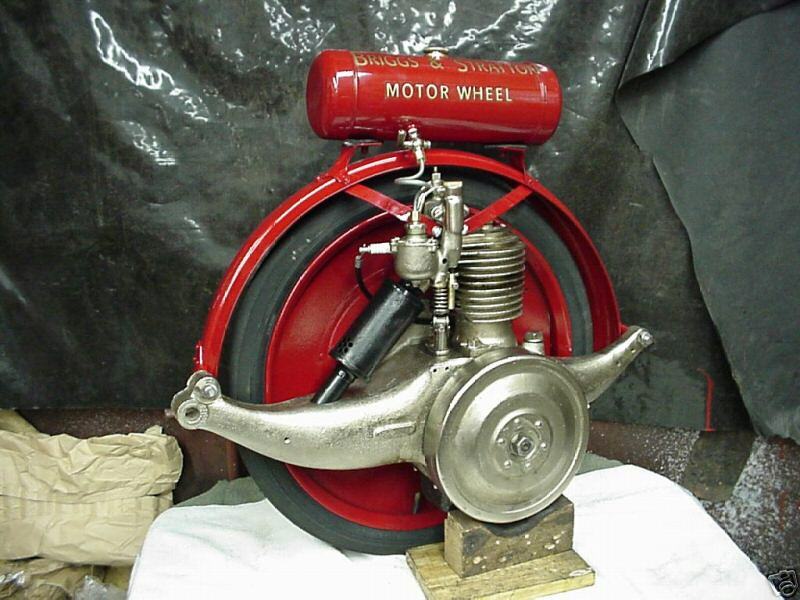 The Whizzer Motors had not been a great success, resulting in sales of only about 2500 units. As such, Breene-Taylor decided to divest itself of this unit and focus on more profitable ventures. So, Dietrich Kohlsatt, who supplied the capital, and Martin Goldman, an attorney for Breene-Taylor, bought the Whizzer Motor operation from them. 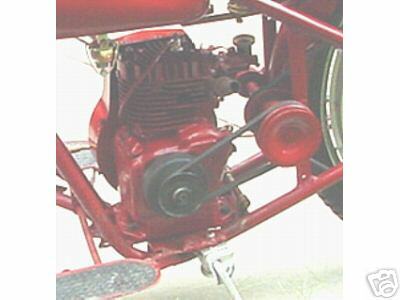 With World War II in full swing, Whizzer had to lobby the United States government for the right to continue production of their motorbike engines. Martin Goldman visited Washington and convinced the government that the Whizzer was a great way for defense workers to travel to and from work. Whizzer released the "New Model" engine for "defense workers only." 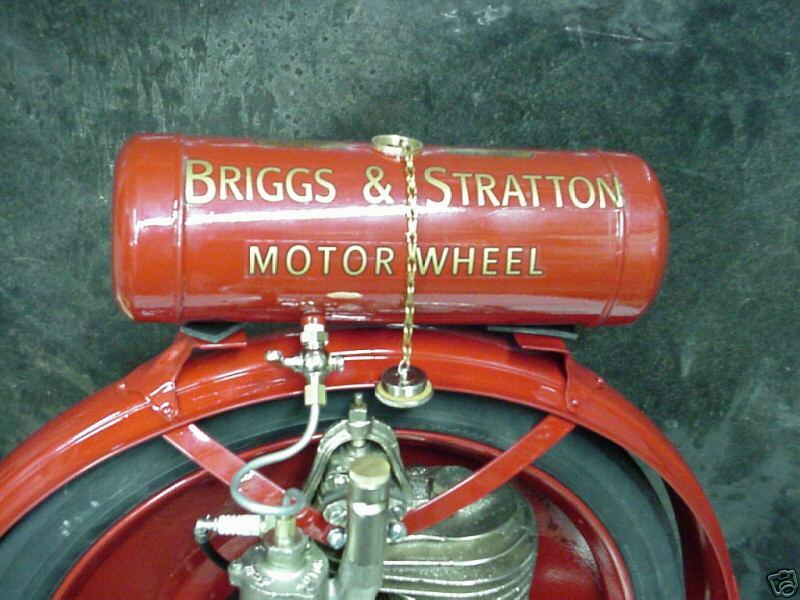 This redesigned engine was more reliable than previous models because it used a belt drive instead of the roller drive that Whizzer Motors had used up to that point. With the War ending, Whizzer was able to bring its production of engines back up and make them available to the general public. 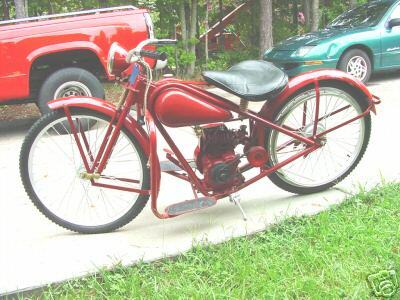 The Model "F" released in 1945 was the same as the "New Model" that had been released during WWII, with the same belt drive and large 5-quart gas tank. Approximately 4200 Model "F" engines were sold for $125. May Dietrich Kohlsaat announced that they had sold 150,000 Whizzer engines. The company had over 12 dozen warehouses nationwide that supplied 3500 dealers. 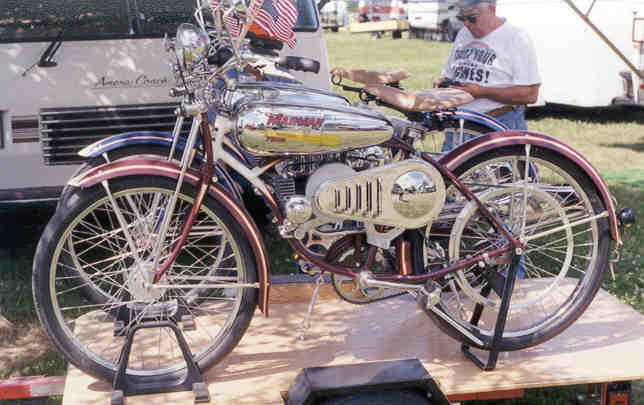 Whizzer announced the Model "J" engine, which had a chrome-plated exhaust pipe and fittings, a new, more-reliable Carter carburetor, and motorcycle-type twist-grip controls. Whizzer sold about 51,000 Model "J" motors at a cost of $97.55. June Whizzer introduced the "Pacemaker," which the company referred to as the "only complete motorbike." 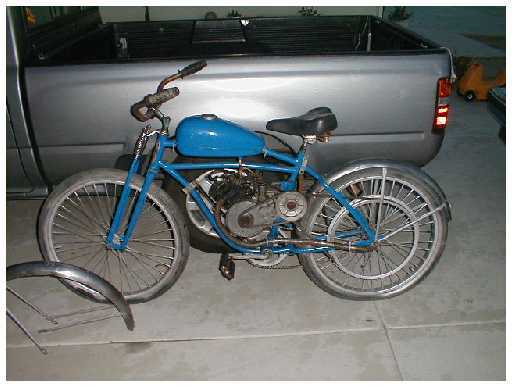 The bike came with the Model "J" engine already attached to the frame and ready to run. The "Pacemaker" retailed for $199.50. September In order to keep pace with its new competition, Whizzer released the Model "300" Motor. This new engine had 7/8 in. valves, a more efficient combustion chamber, better cooling, and a higher compression ratio. These changes resulted in a 3 hp engine that could reach speeds of 40 mph. 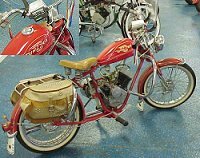 Whizzer sold about 15,000 Model "300" motors at $109.97 each. 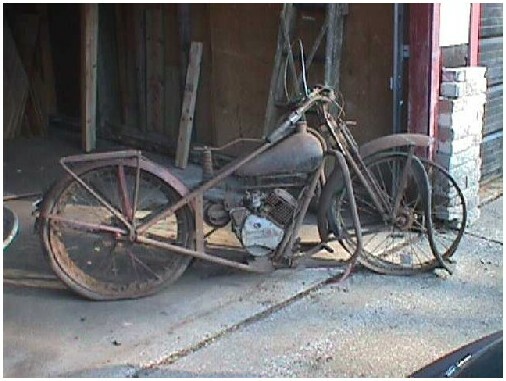 Whizzer released the "Sportsman" motorbike, which was much more like a real motorcycle. The "Sportsman" abandoned pedals altogether and used a kick starter to get the bike going. The "Sportsman" cost $224.50 for the Standard edition, which had a clutch transmission, and $239.50 for the Deluxe edition, which sported the Bi-Matic automatic transmission. 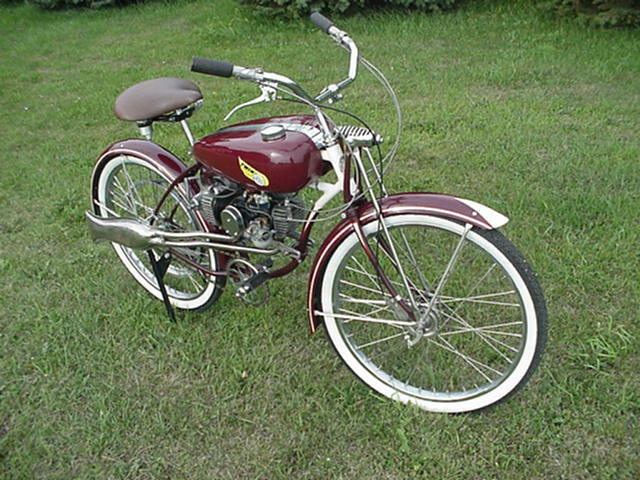 Whizzer released the "Ambassador," a motorbike similar to the "Sportsman" but with a full-size frame, larger tires, and greater overall length. The "Ambassador" was the top-of-the-line, with a gloss black finish, ivory trim, and chrome-plating. The Ambassador sold for $249.50, making it Whizzer's most expensive product. 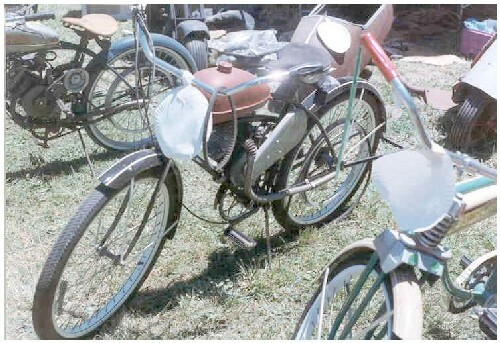 In 1952, the company introduced its last major motorbike engine, the "700." This motor was in many respects similar to the "300," but it included a new carburetor, a sealed-beam headlight, and a taillight. Whizzer Motorbike Company changed names to become Whizzer Industries, Inc. and began to expand into other areas of production. Whizzer Industries produced childrens' toys and wagons as well as windows and sliding doors. The company continued to sell parts for Whizzer engines and bikes until 1965, but times had changed and the Whizzer was no longer king.